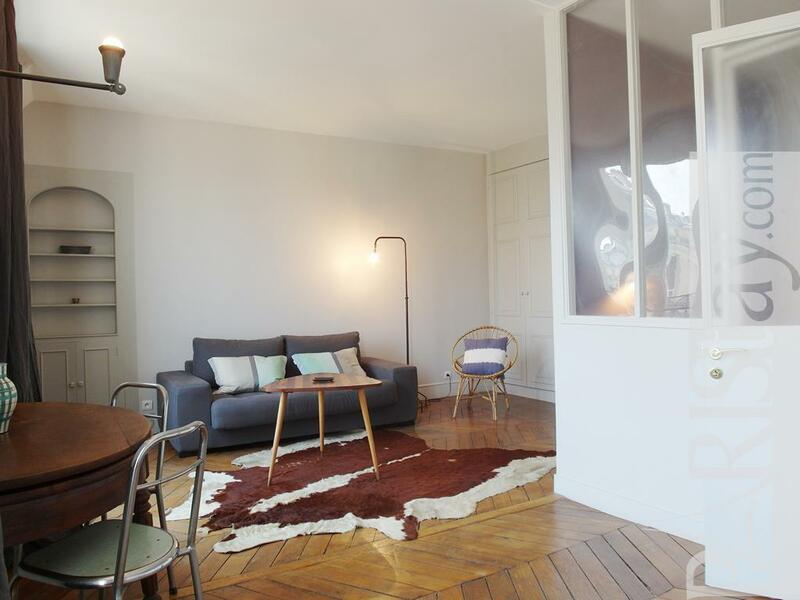 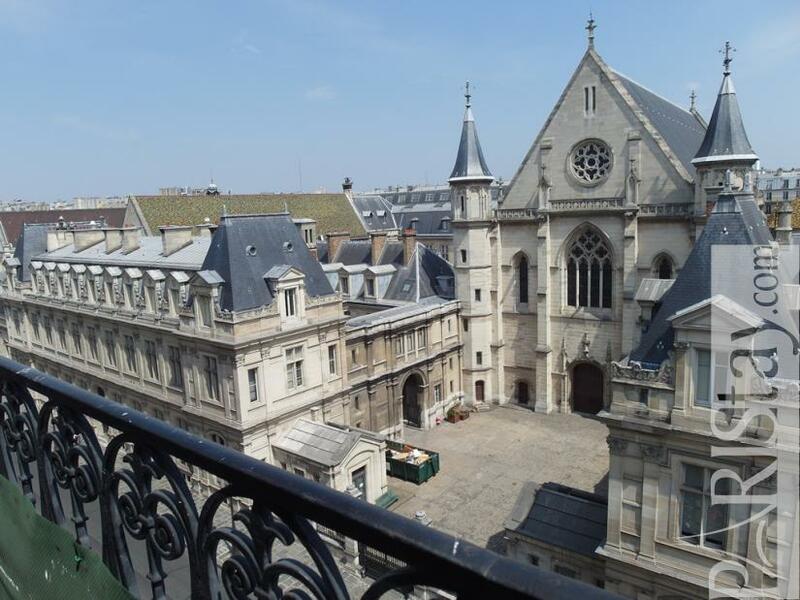 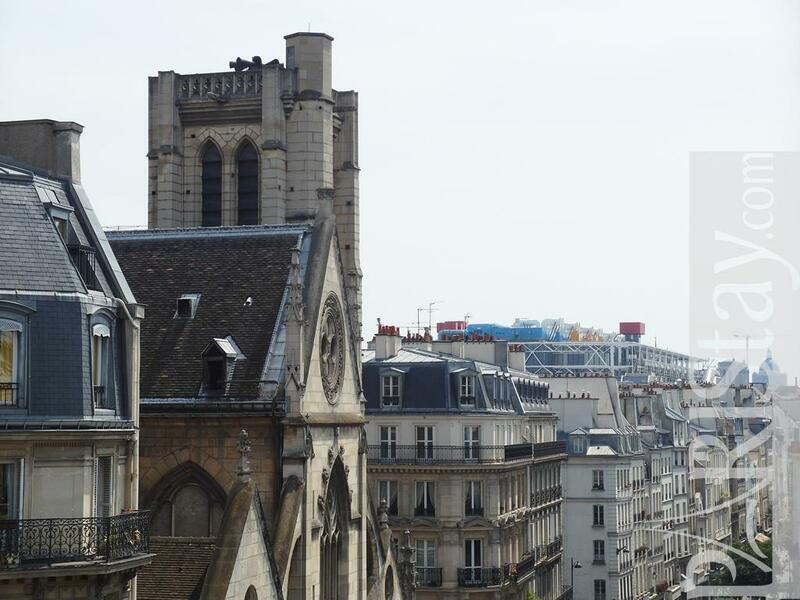 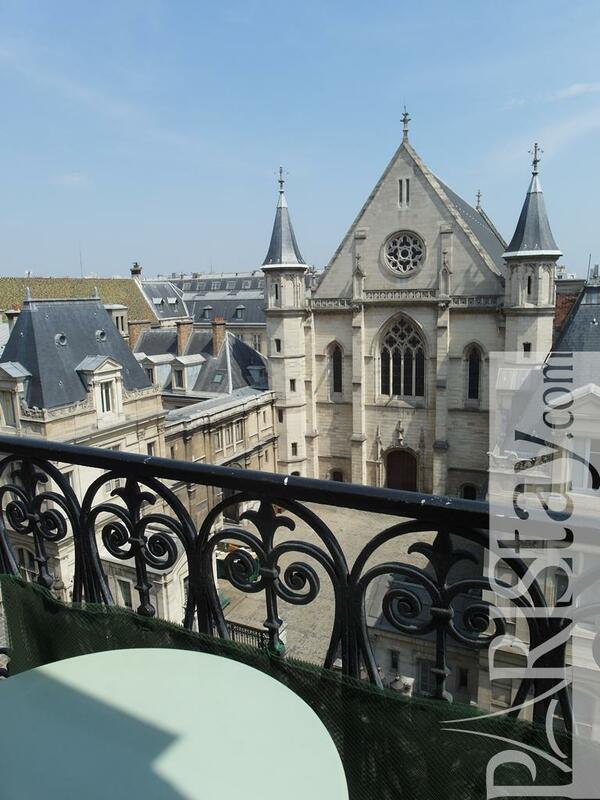 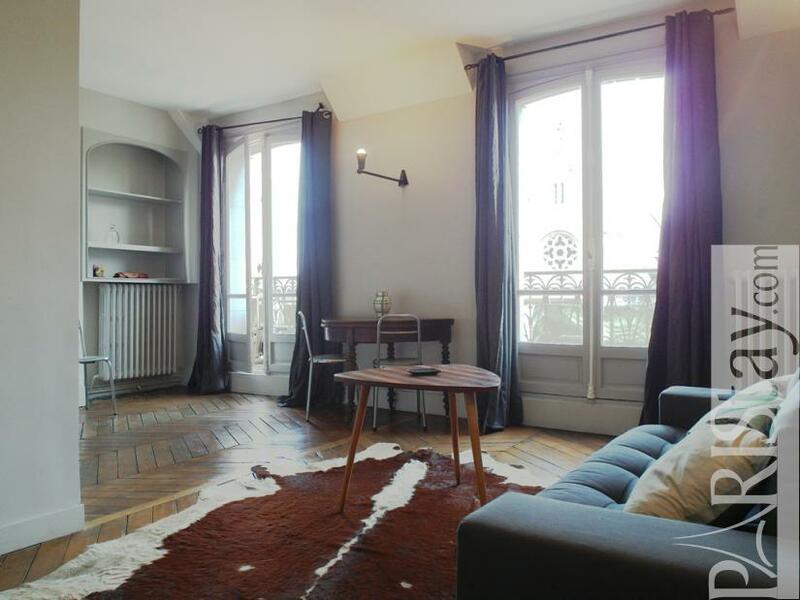 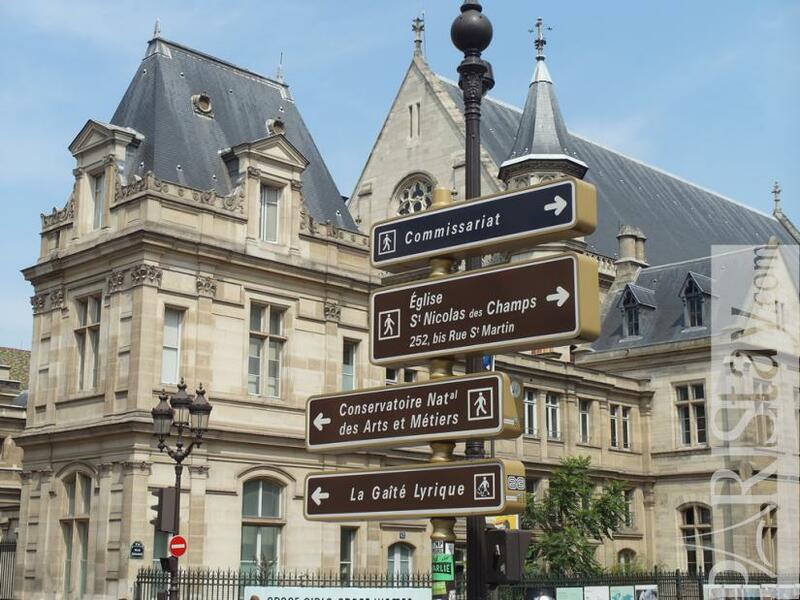 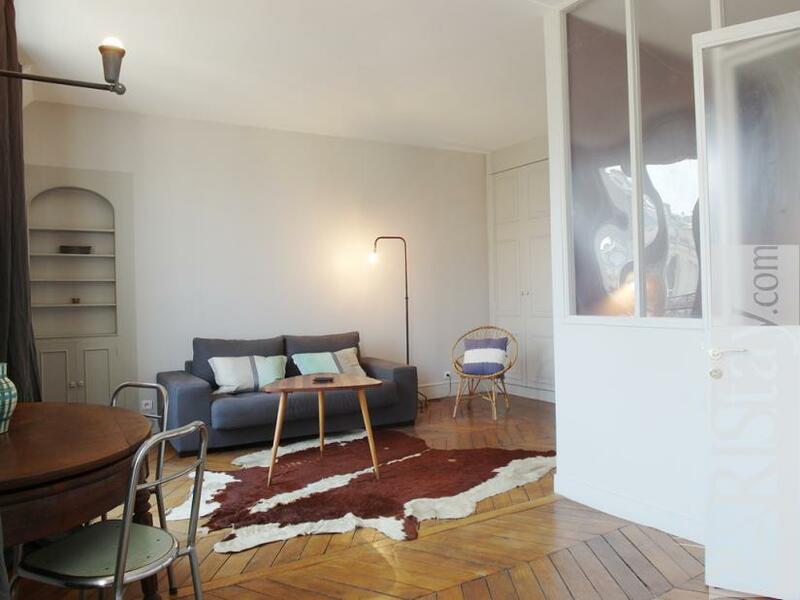 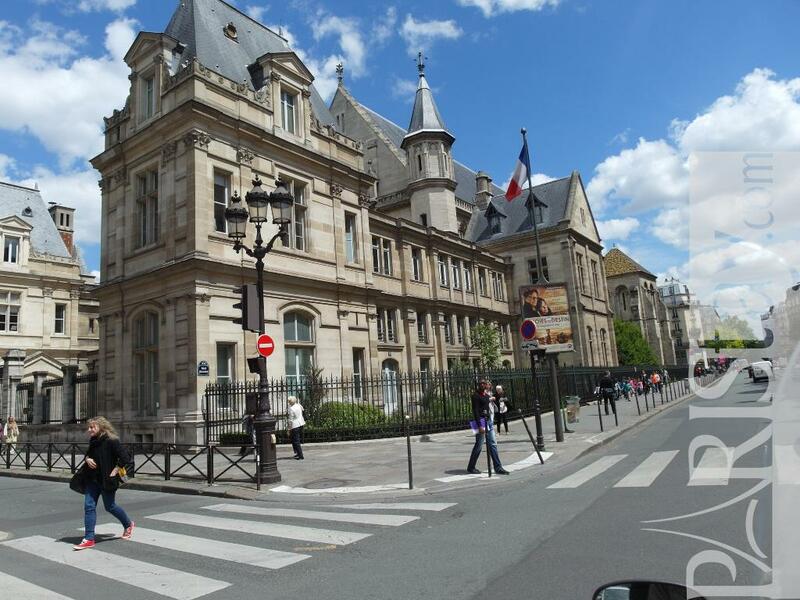 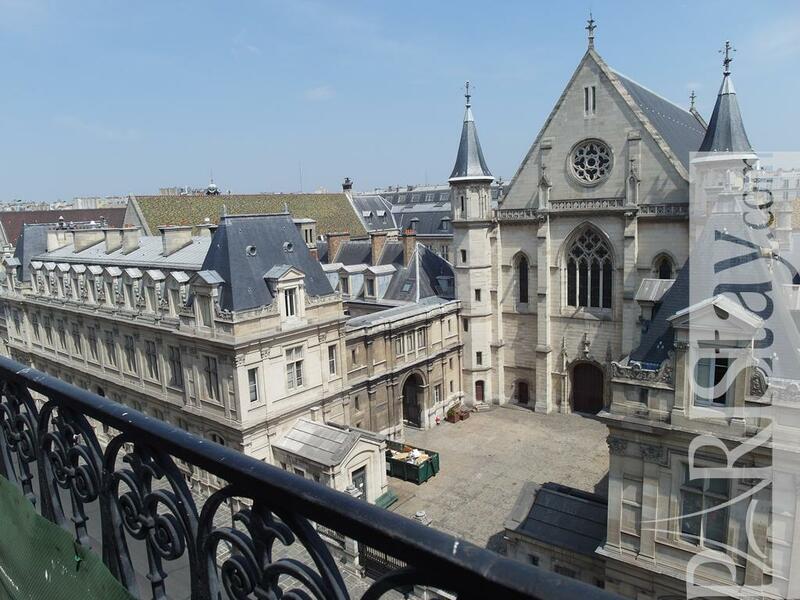 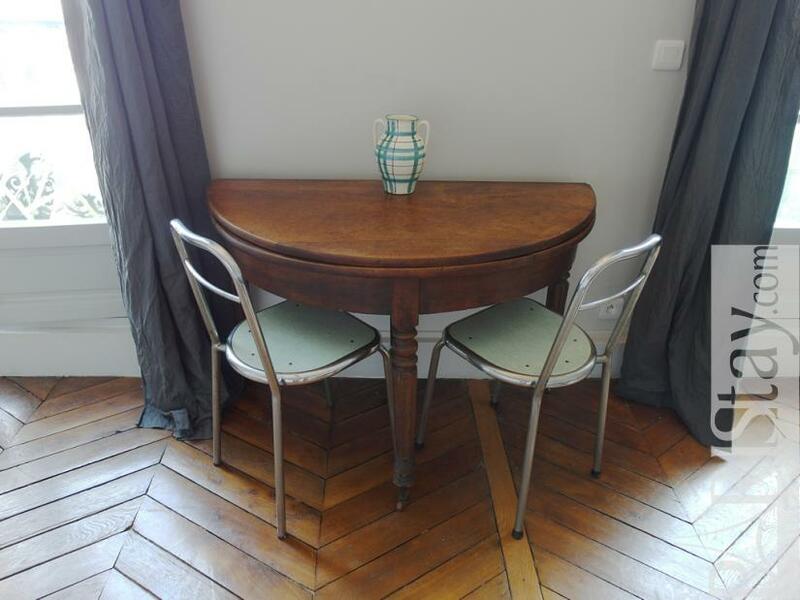 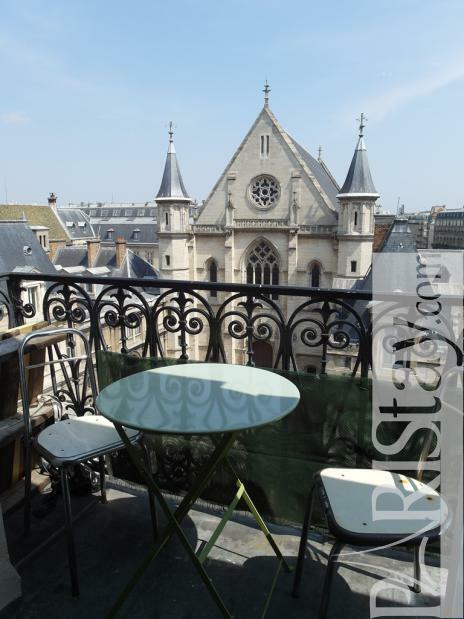 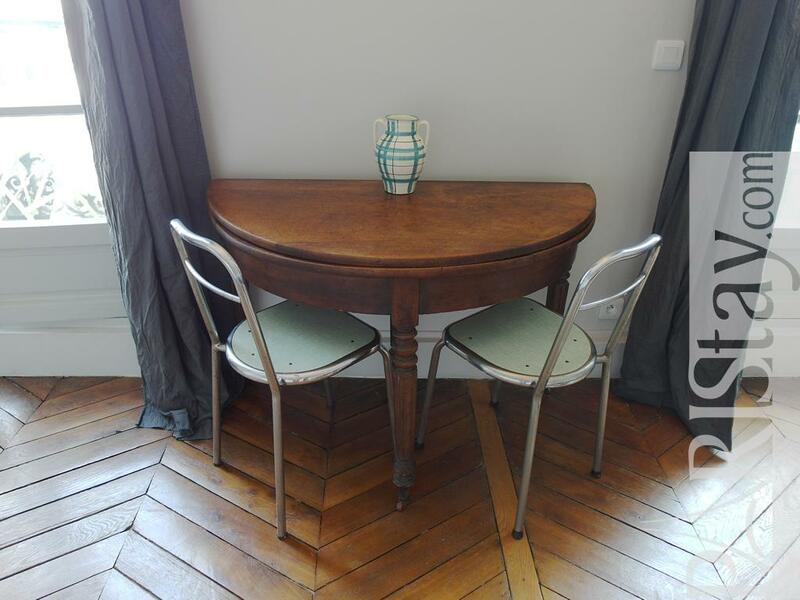 Charming Paris One Bedroom Apartment rental offering a private balcony view onto the beautiful "Arts et Metiers" museum. 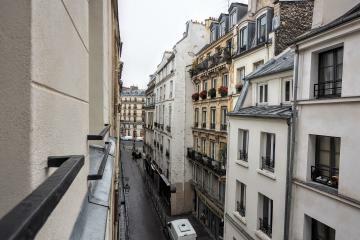 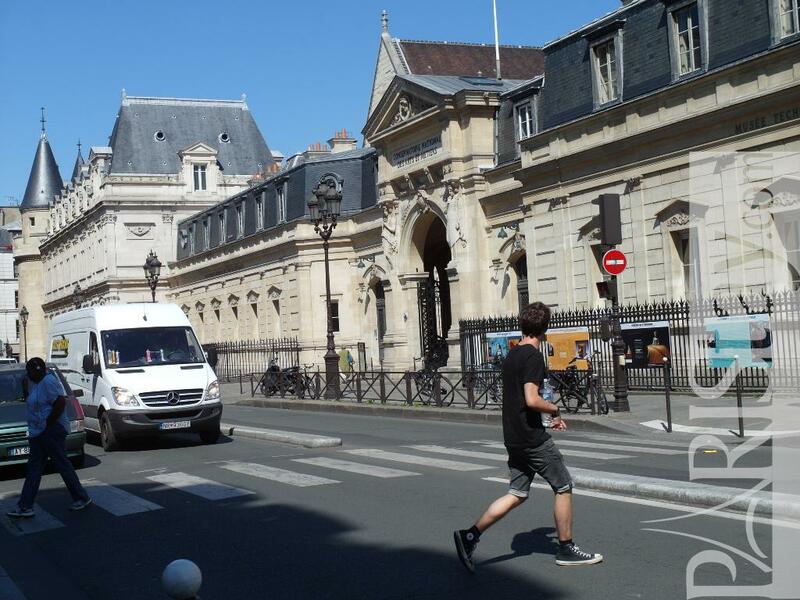 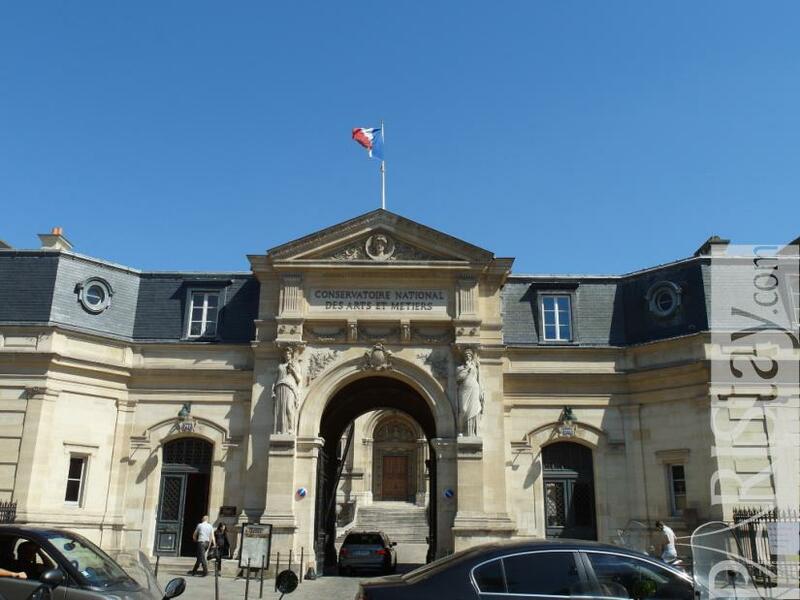 This central location in historical Paris is at an equal distance of the famous Le Marais district and the lively Rue Montorgueil and Beaubourg museum. 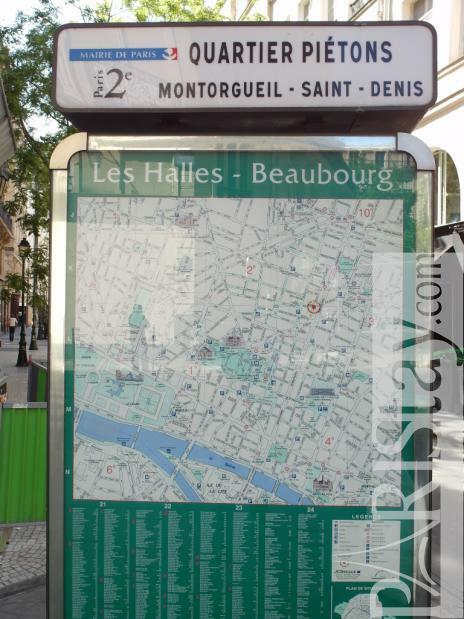 You may find everything you need within a short distance : french food shops, a daily open air market in the Rue Montorgueil (bakery, vegetables, fruits, wine, cheese), trendy bars and restaurants, fashion flag ship stores, and convenient transportation links to go anyywhere in town. 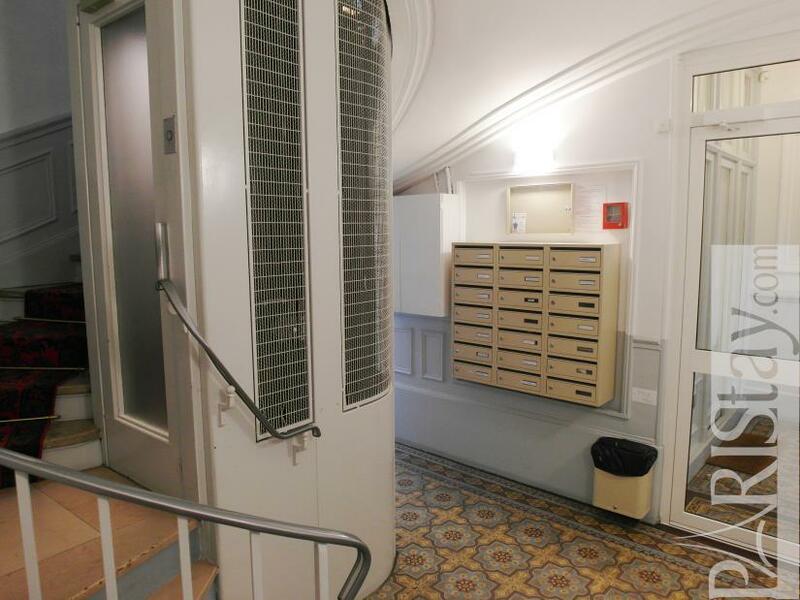 The apartment is situated in the 5th floor (with a lift) of a 1880 building. 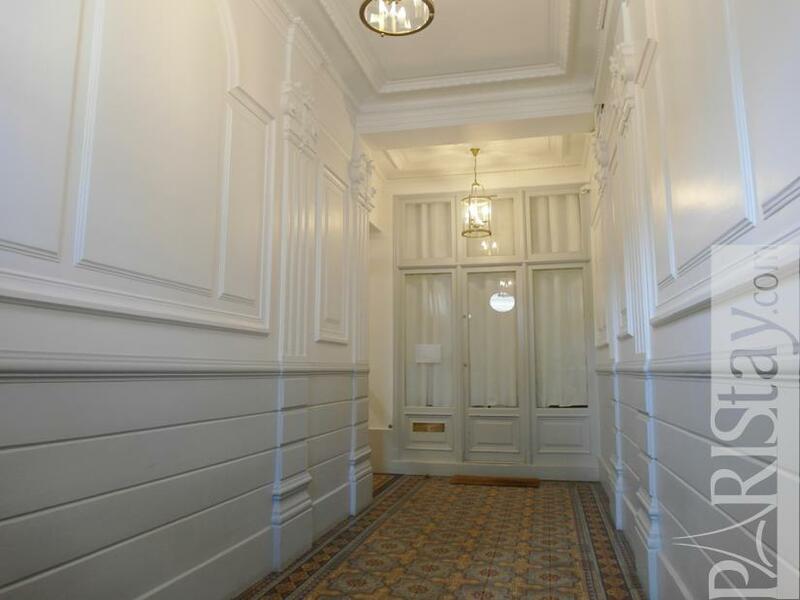 It has been totally renovated and tastefully decorated in a pleasant vintage spirit that contrasts with the astonishing facade of the museum building. 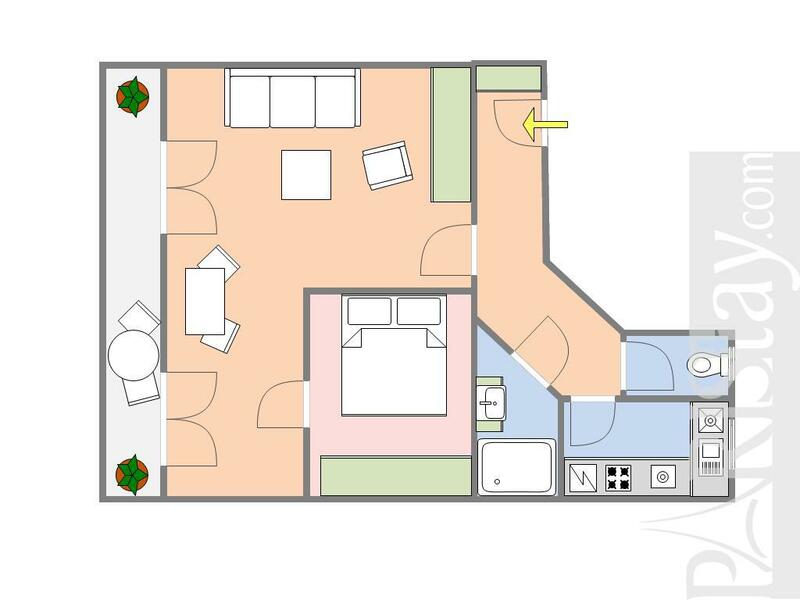 The flat offers a spacious, bright living room opening to a large balcony. 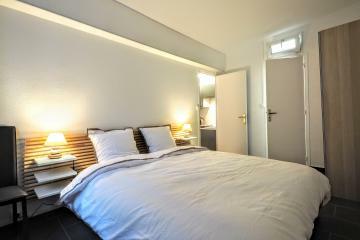 The bedroom has been designed as a workshop that allows a view on the museum's rooftops. 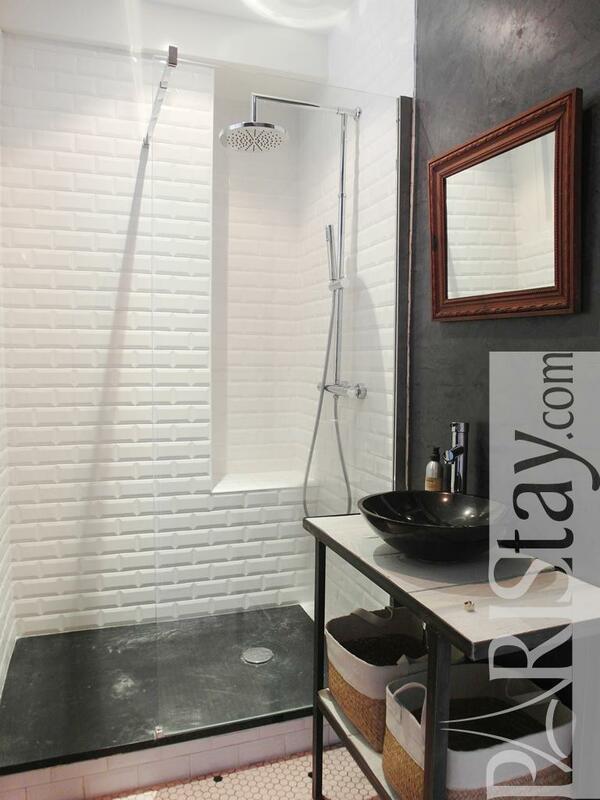 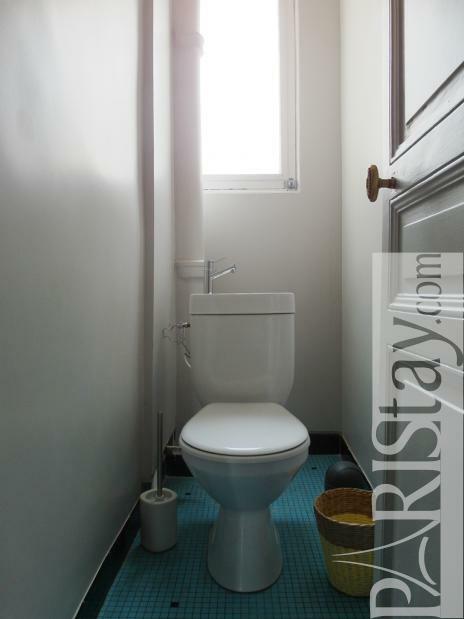 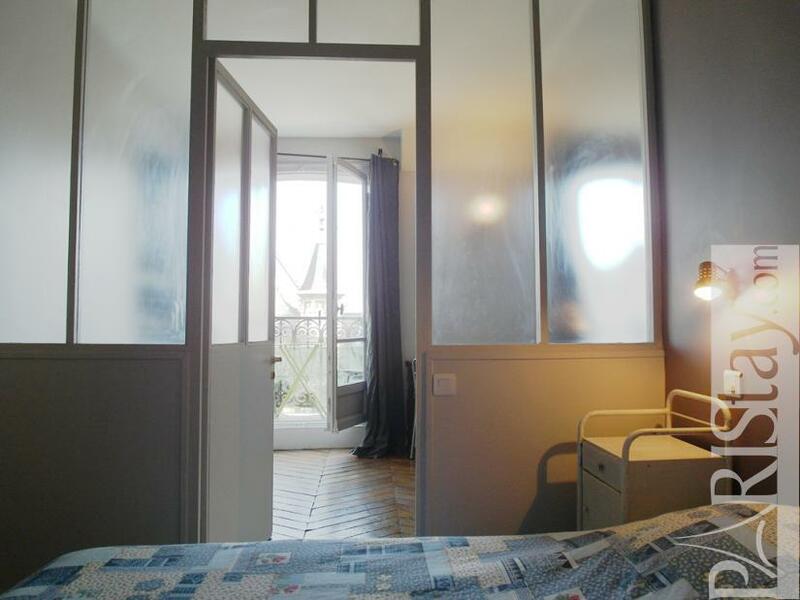 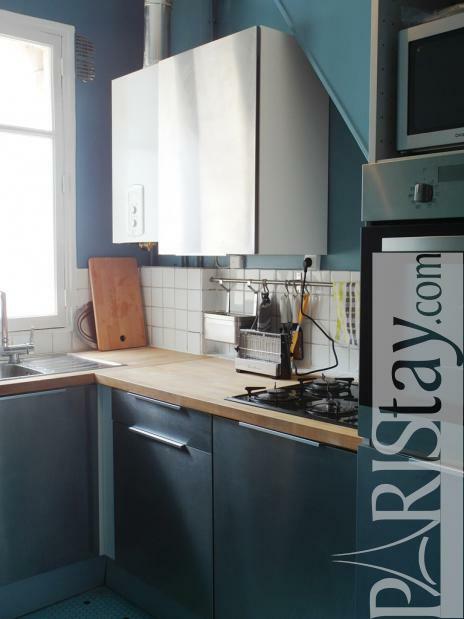 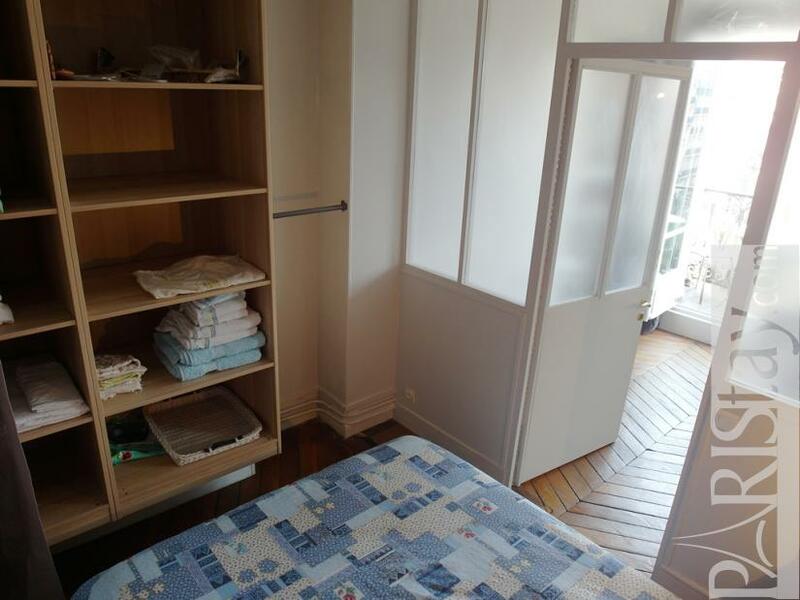 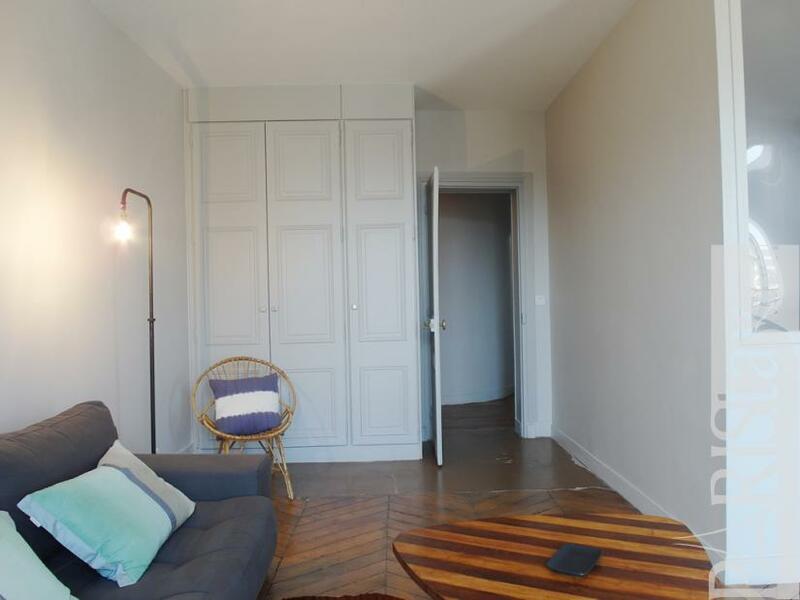 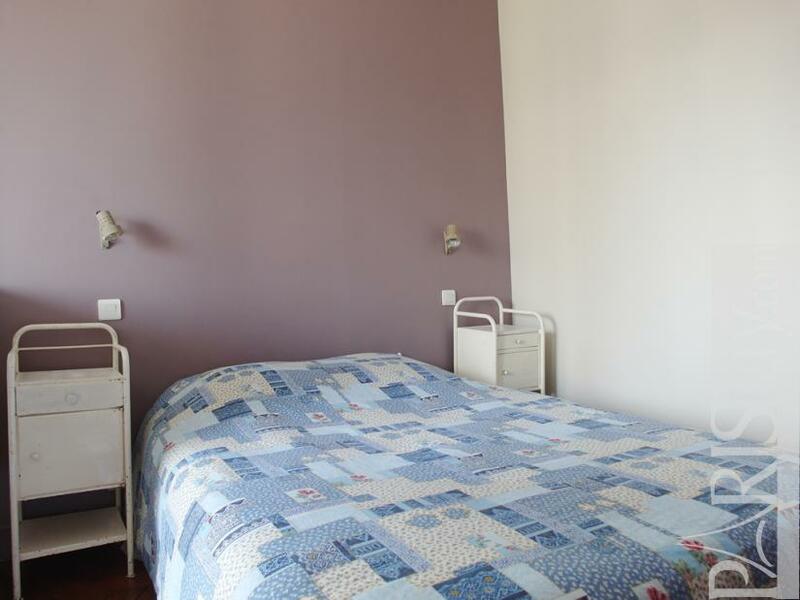 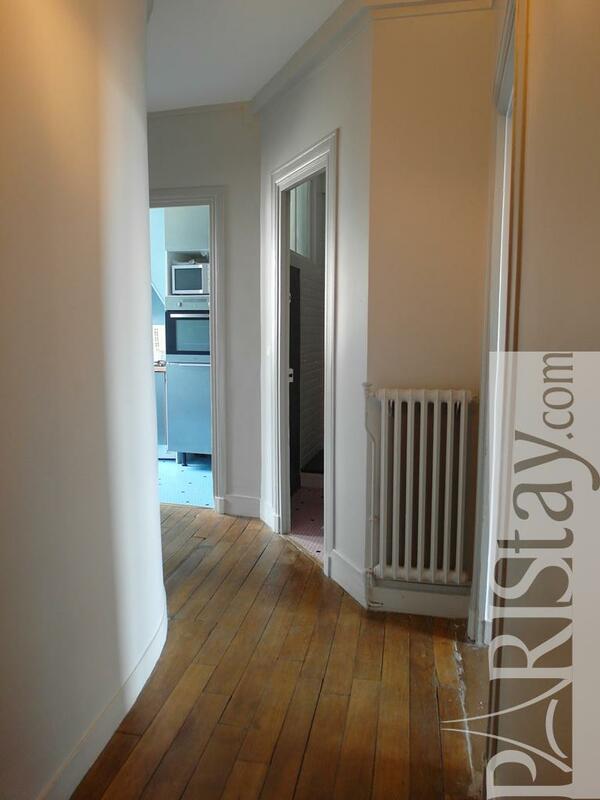 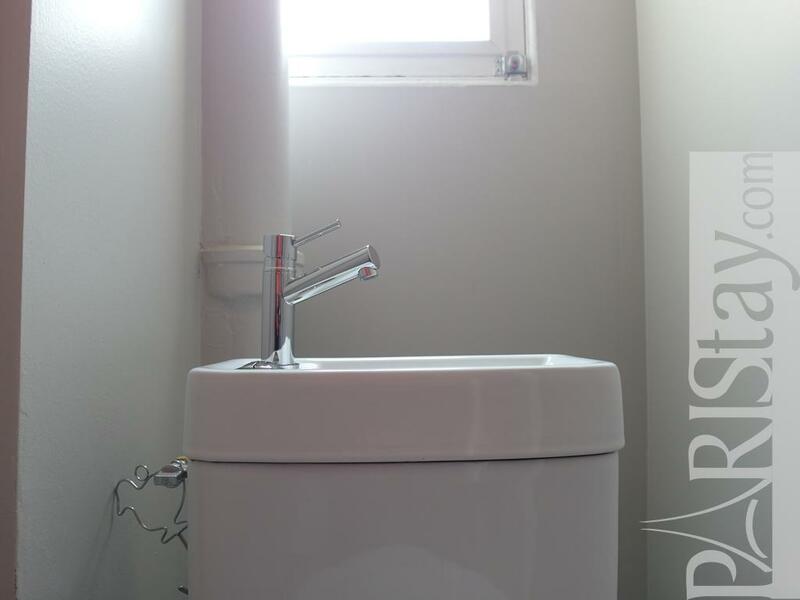 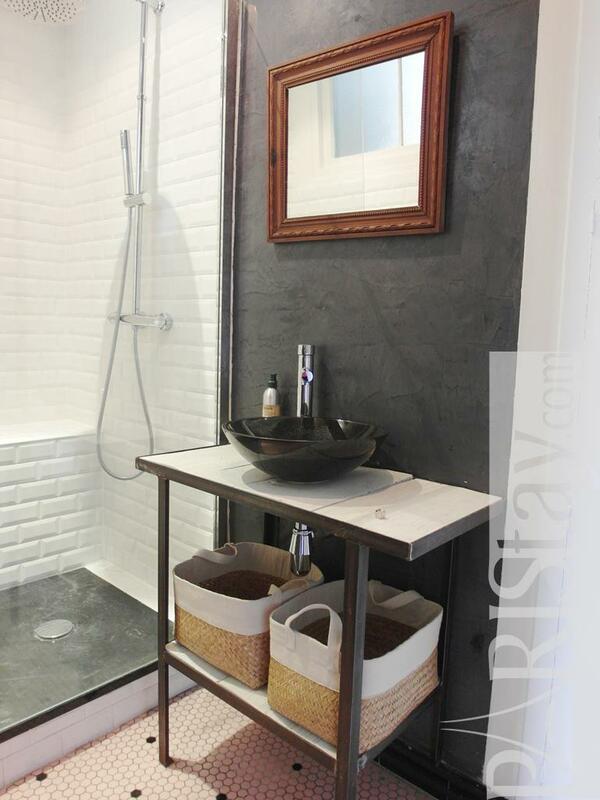 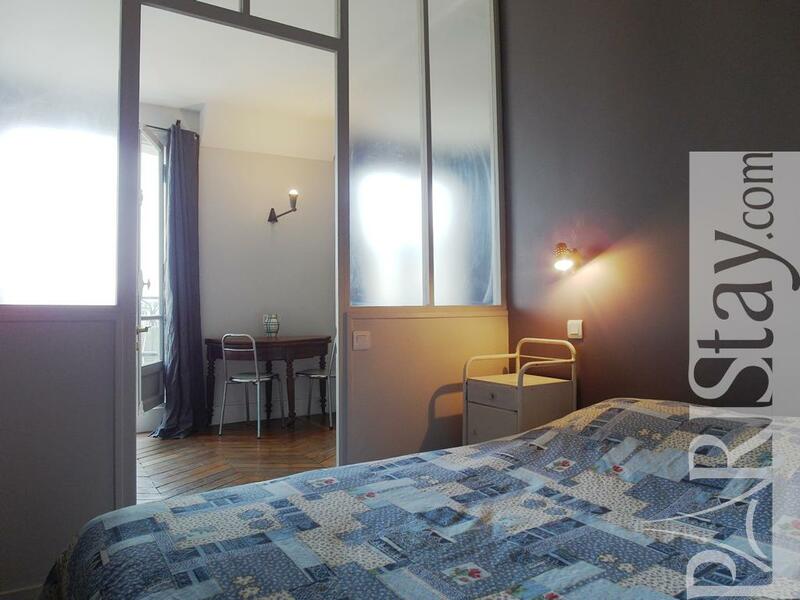 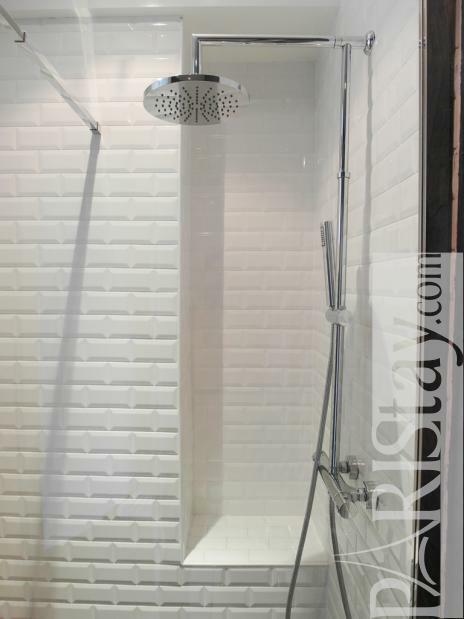 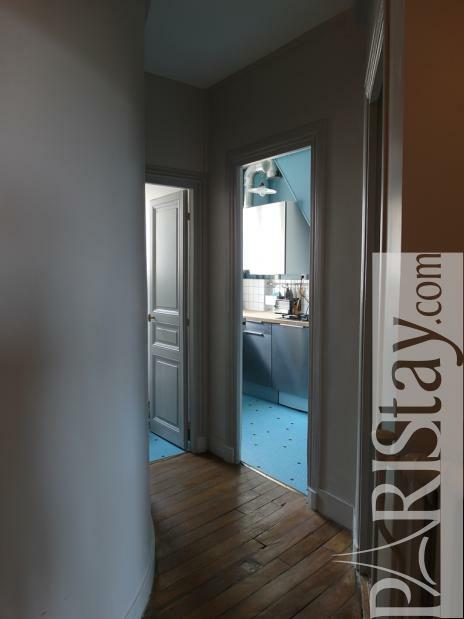 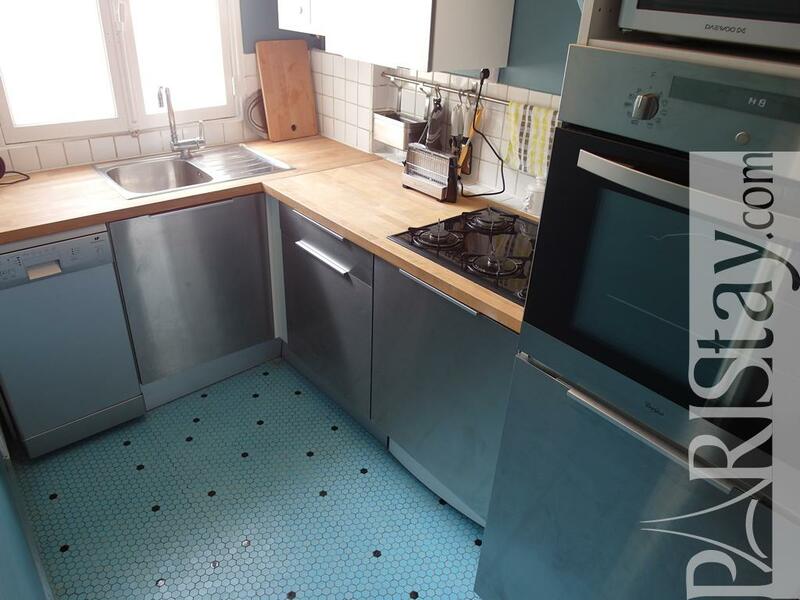 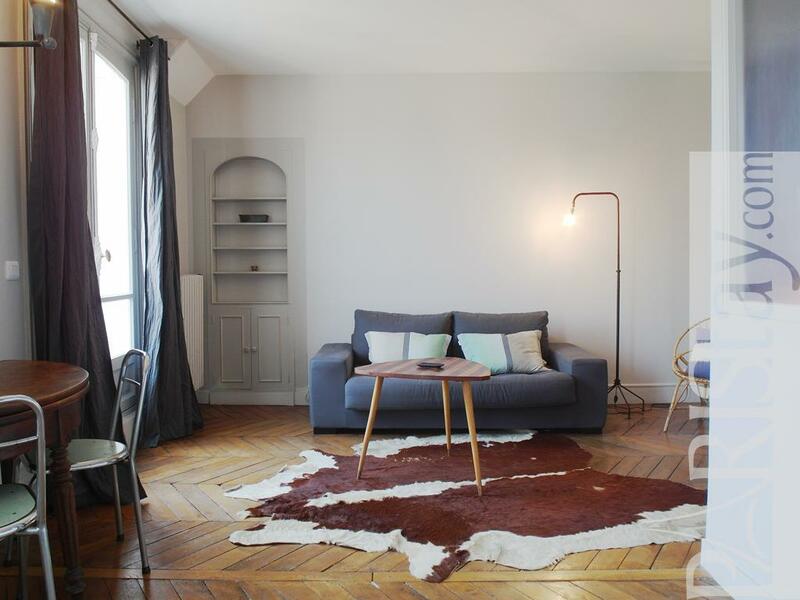 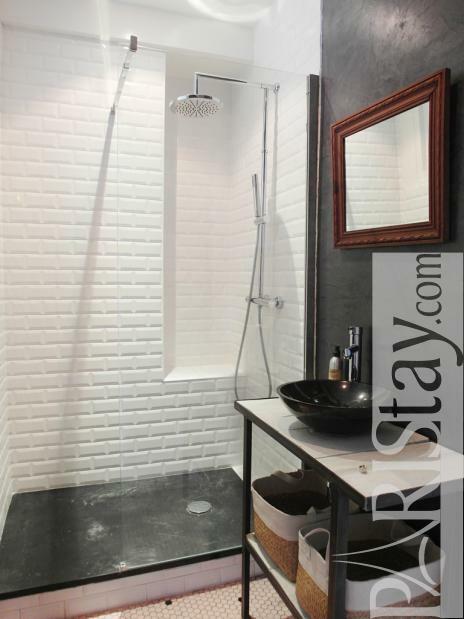 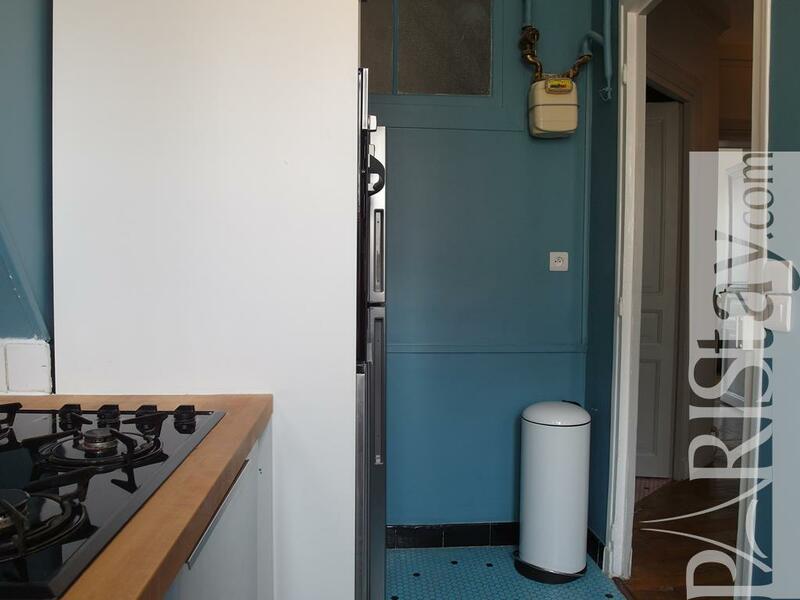 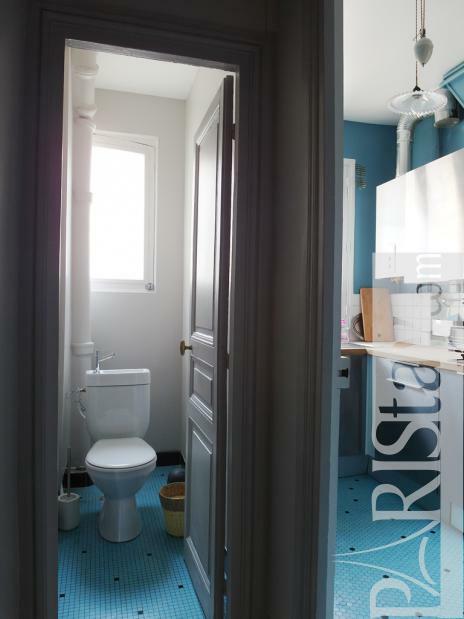 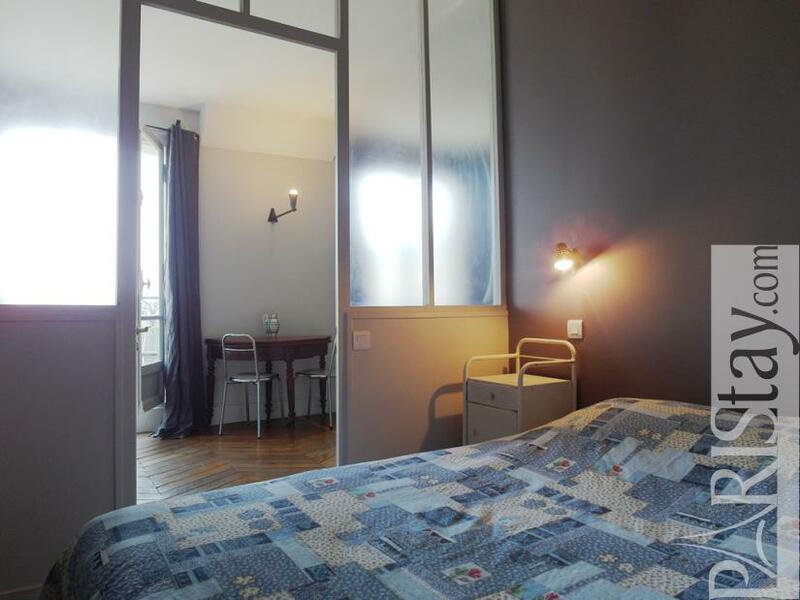 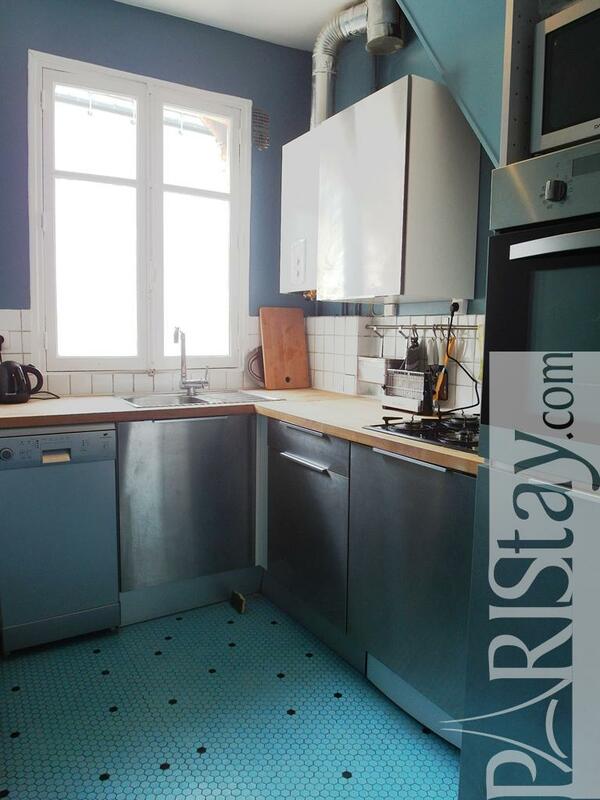 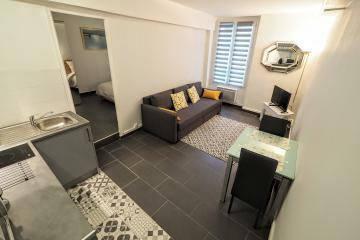 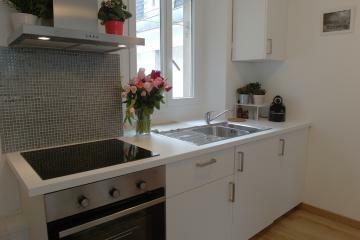 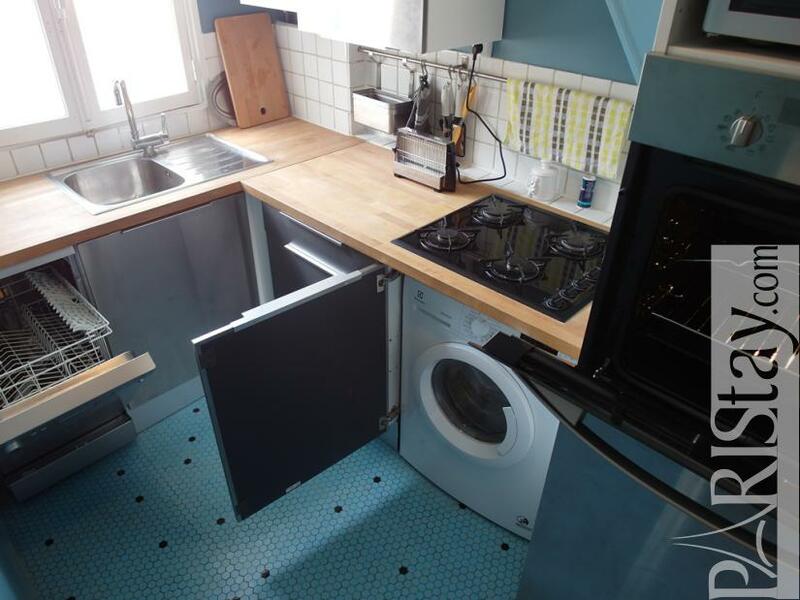 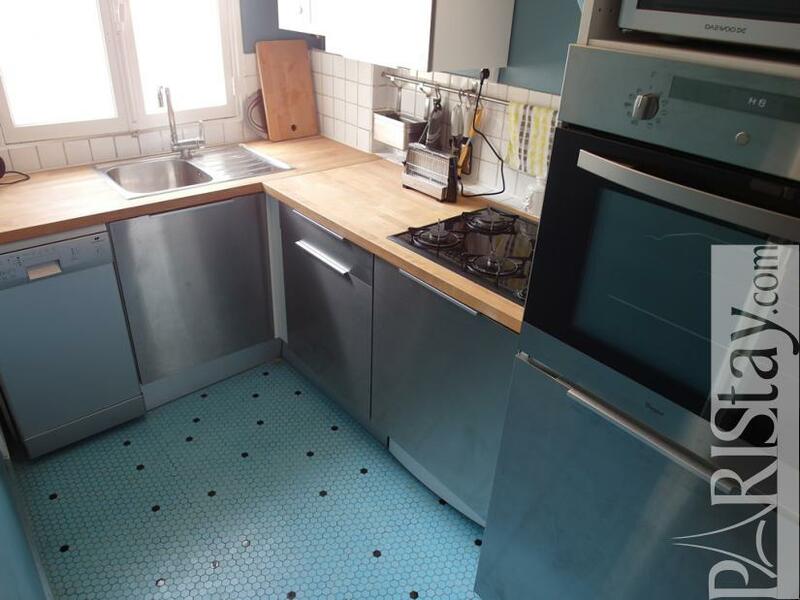 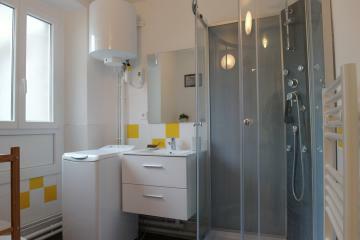 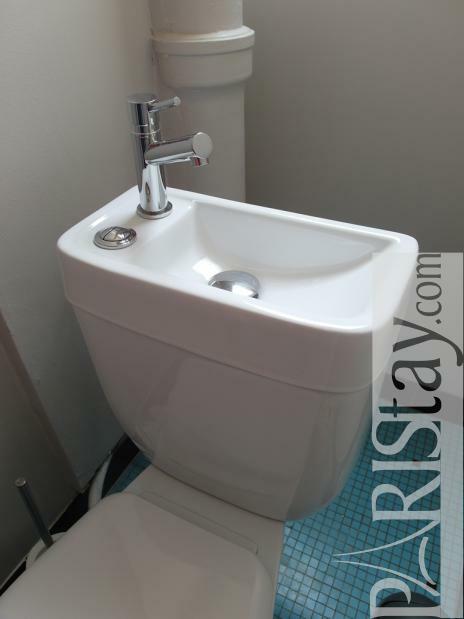 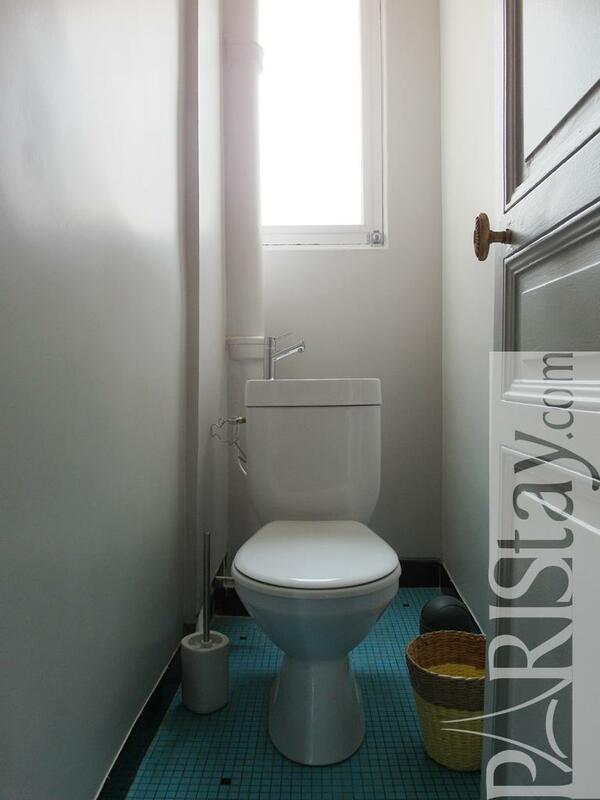 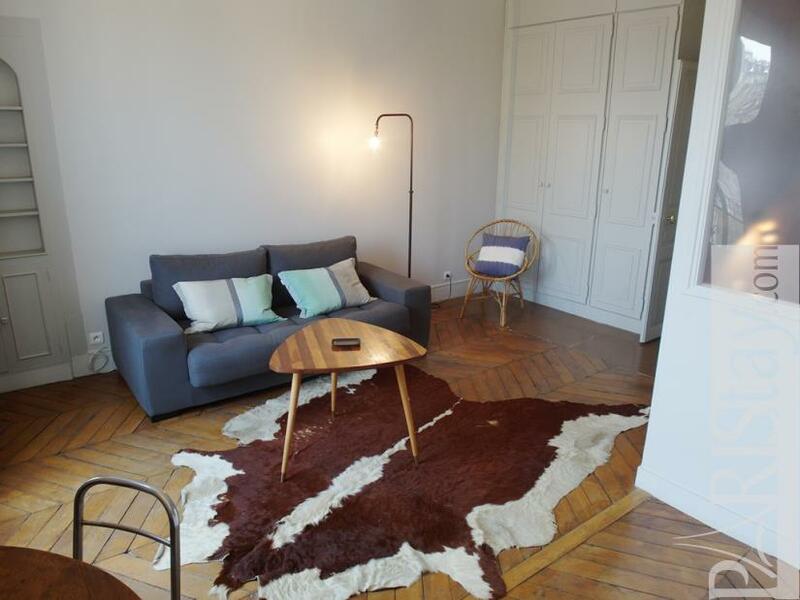 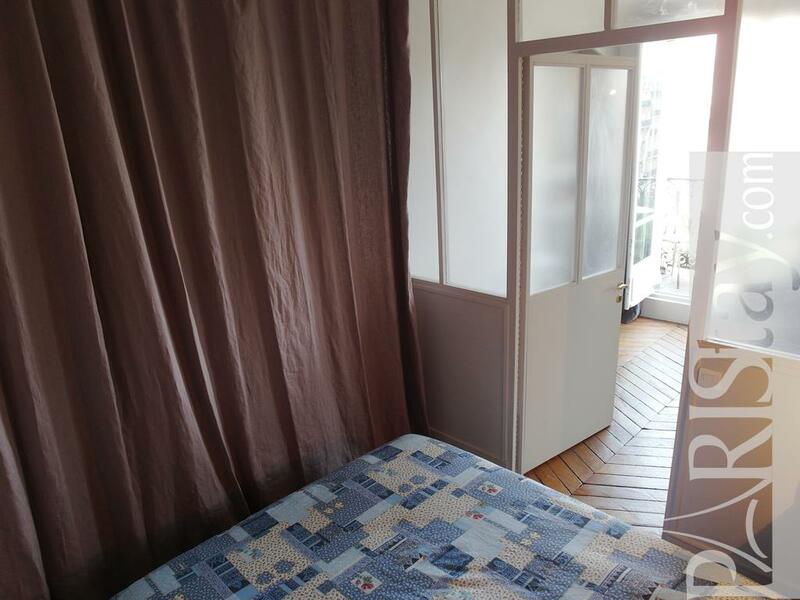 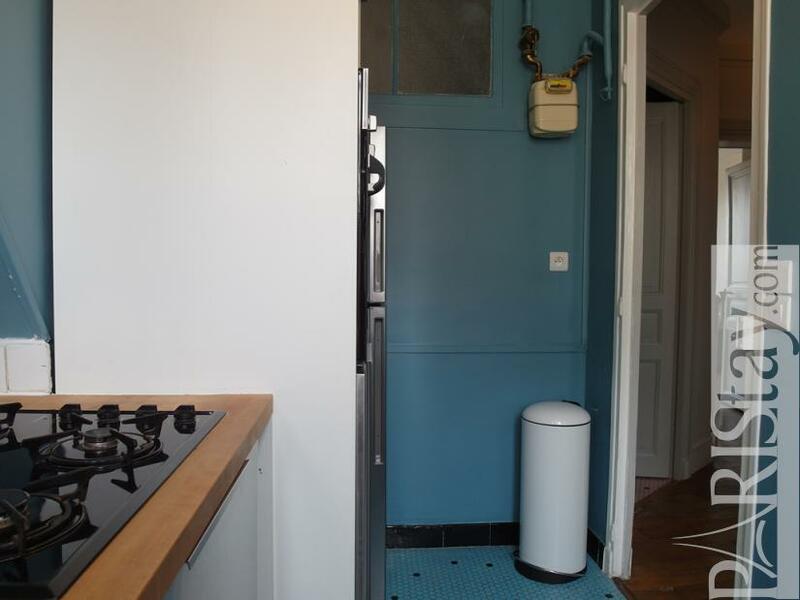 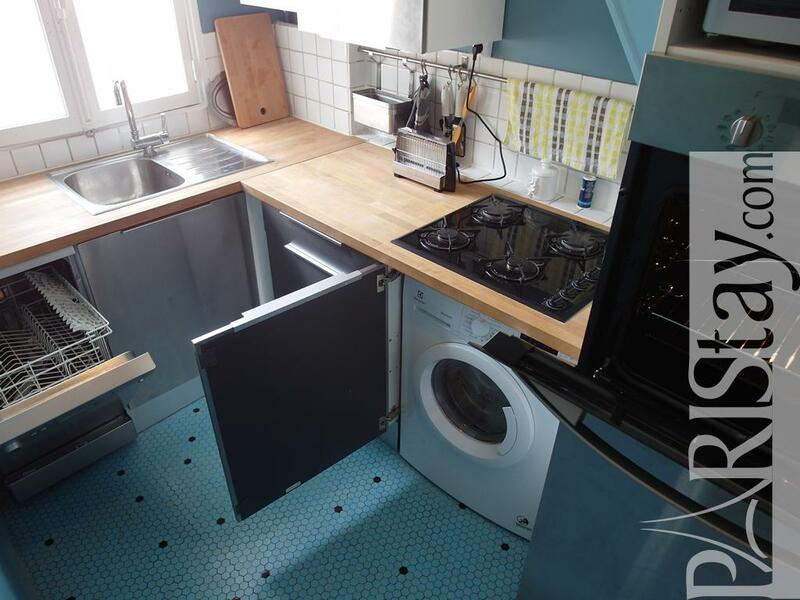 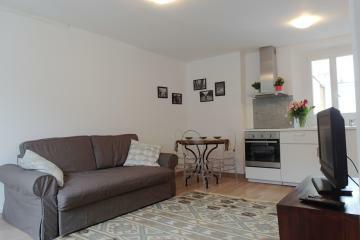 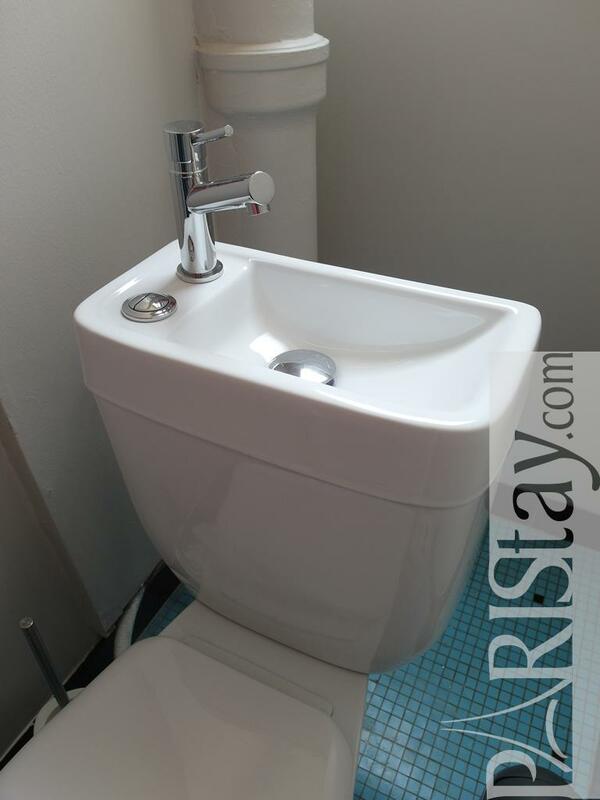 A convenient corridor leads to the shower room, the fully equipped kitchen and a separate toilet.This flat is also available for long term stays in Paris. To be discovered asap! Please note there is no TV , Internet fees is on top of the rent. 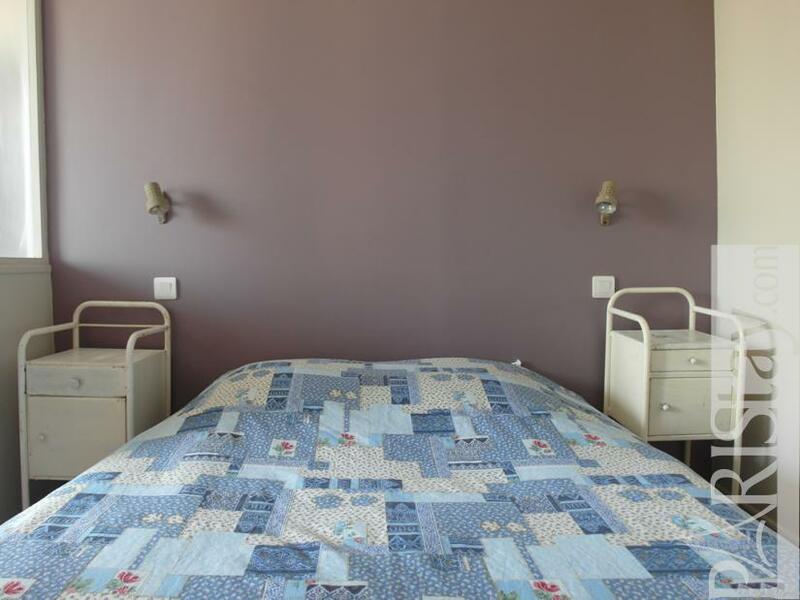 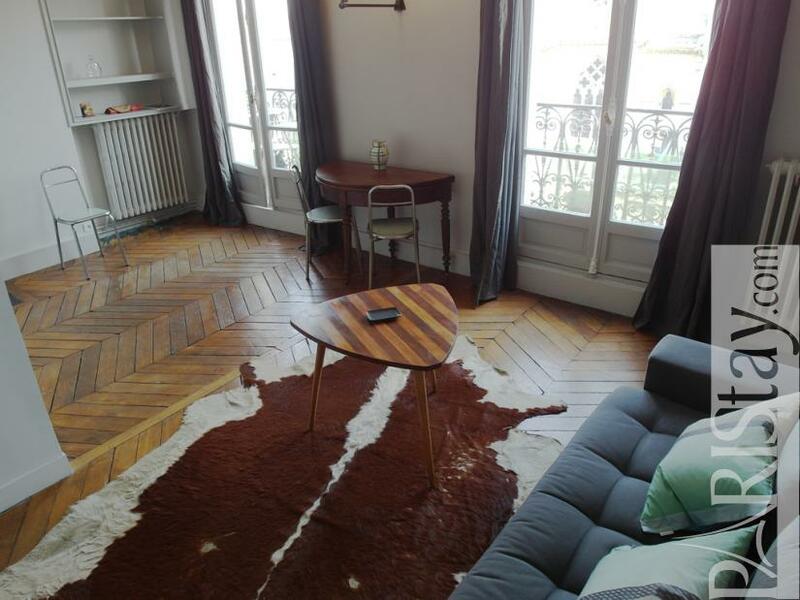 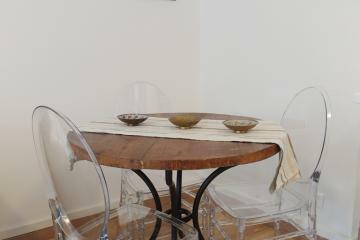 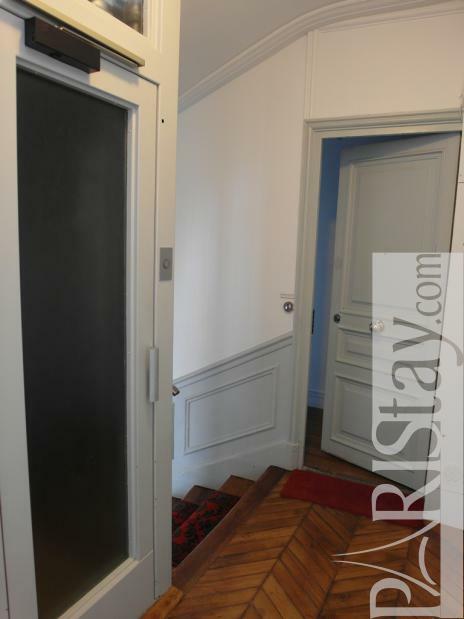 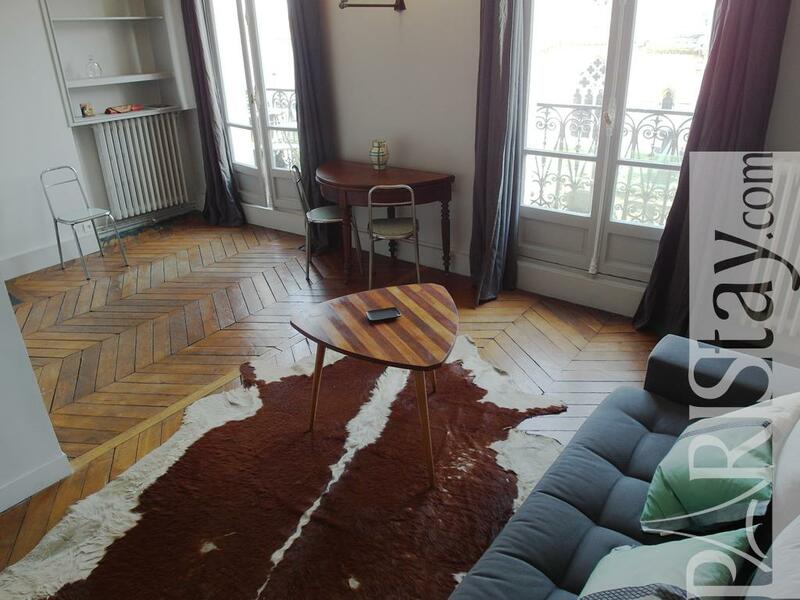 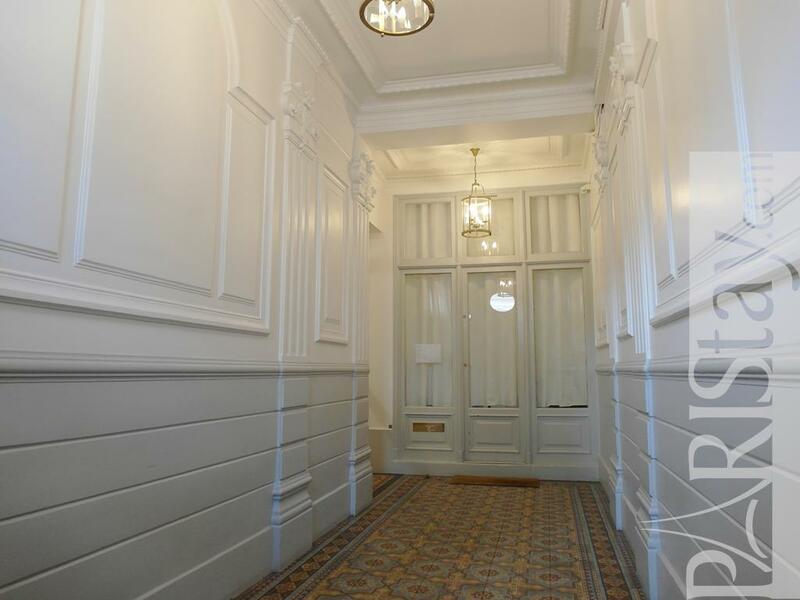 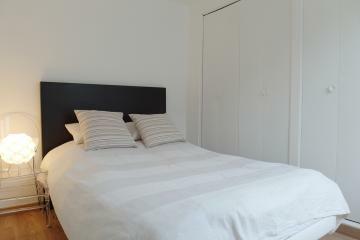 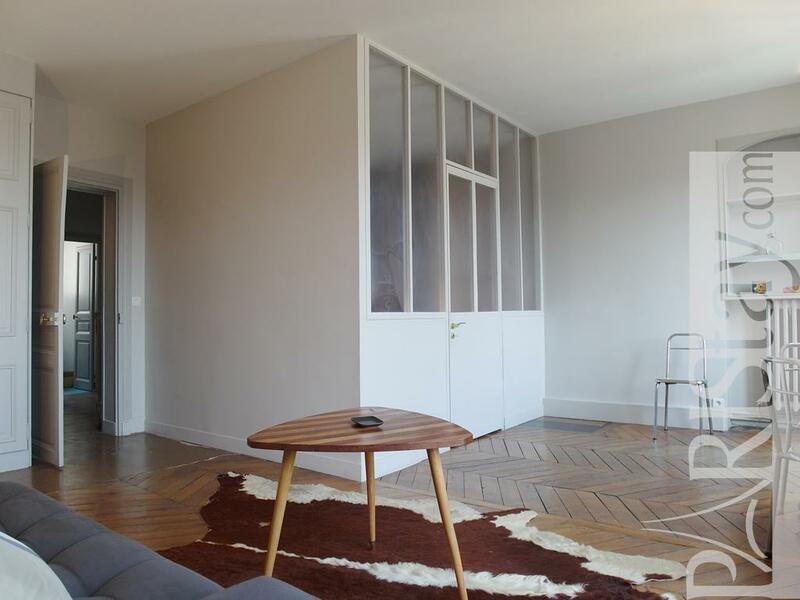 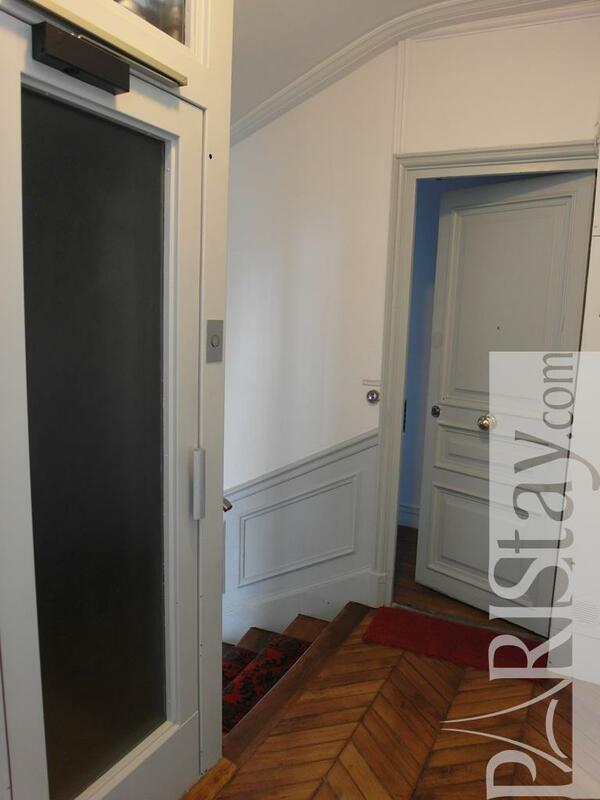 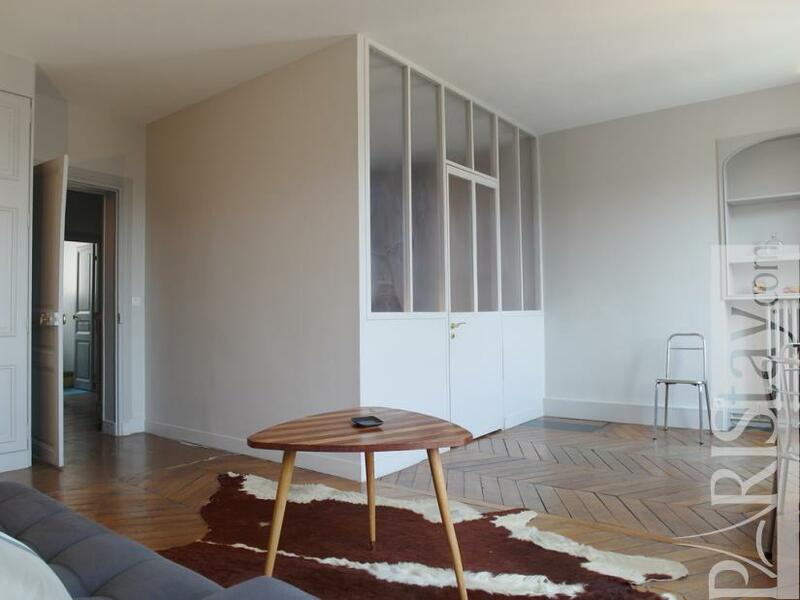 1880's Building, 5 rd floor, with Lift, entry code security system, 1 bedroom Appartement, furnished, Approx: 50m² / 538 Sq.Ft.